- A Victim Among Us? Be an upstander and become a TeenAngel. Wow! Now that's what I call being upstanders! If you know a child who's being cyberbullied, you can also take them to StopCyberbullying, another of Aftab's excellent sites, for information and support. Let's get more kids onboard. TeenAngels and TweenAngels -- we need to multiply you a thousand times over!! "I provided some pictures so you could see the lasting effects your work has had in our school system. 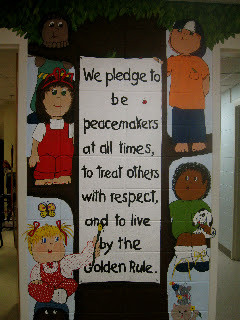 Our kindergarten students have said the peace pledge every morning as a total school -- led over the intercom along with the pledge to the flag -- for the past eight years! 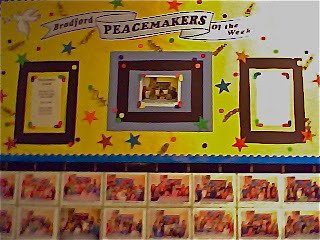 Teachers continue to make the teaching of peacemaking skills an integral part of the curriculum. 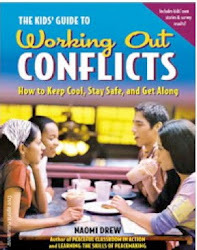 We have witnessed the effectiveness of this teaching as students learn to actively use conflict resolution skills. I look forward to continuing to learn to provide students with the skills needed to enjoy a peaceful life . . both in school and out! Thank you, Wanda, for your inspiring words! And thanks to all the teachers, administrators, and parents who support the work of peacemaking. 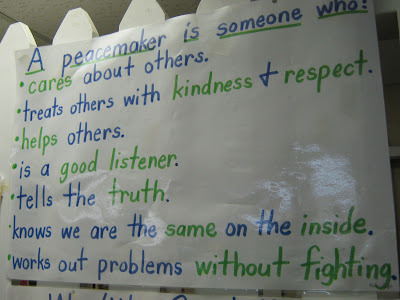 You're doing what all schools need to do each day: educating children to be peacemakers in a world desperately in need of peace. May your work continue to spread. The truth about anger is that we always have a choice in terms of how we're going to respond to it. We actually need to make friends with angry feelings that arise in us, accepting that we're going to get angry from time to time, and when we do, we can choose a healthy way to respond. The best strategy I know for responding to anger is called "STOP, BREATHE, CHILL." Here's how it works. When anger strikes, and your heart starts pounding and palms get sweaty, take the first step and simply STOP. Say the word in your head, and instead of going forward into the anger, flash a stop sign in your head, and as you do, BREATHE -- three slow deep breaths -- inhale deeply and picture the air going right into your abdomen. In fact, as you inhale, expand the lower abdomen as though it were filled with air. Next, CHILL by replacing reactive thoughts with a calming statement. The one I always use is, "I can handle this." Some people use a single word, like "Peace," others use a favorite phrase from a song or prayer, and others use a calming image or a word that represents it (beach, sky, ocean). Choose a calming statement that works for you, and use it every time anger strikes. Each time you use "STOP, BREATHE, CHILL," you'll be training your brain to respond to anger in a whole new way. In the process, you'll actually be forming a new neural pathway. In time, you'll find the old reactive patterns having less of hold on you. Not that all angry feelings will fade away forever, but "STOP, BREATHE, CHILL," will help you gain distance from the old patterns, and greater control over your reactions. Here's what several 5th-graders reported after learning how to use "STOP, BREATHE, CHILL:"
"Knowing how to stop, breathe, and chill really helps me handle my anger. I can control myself better now. Before I would do things when I was mad that I would feel guilty about. Sometimes I'd end up getting punished. Now I calm myself down and make better choices. I feel better about myself now." "I use Stop, Breathe, Chill whenever I get mad now. It really helps me. The other day I was on the basketball court and a player shoved me. I was going to shove back, but I thought about the consequences and decided to stop, breathe, and chill instead. I told myself it wasn't worth fighting over, and it wasn't. I was able to lead my team to victory instead of being called out on a foul for fighting." "STOP, BREATHE, CHILL" can help people of any age choose a response to anger, rather than simply reacting to it. In the process we actually can make friends with anger, allowing it to guide us to a new way of being. 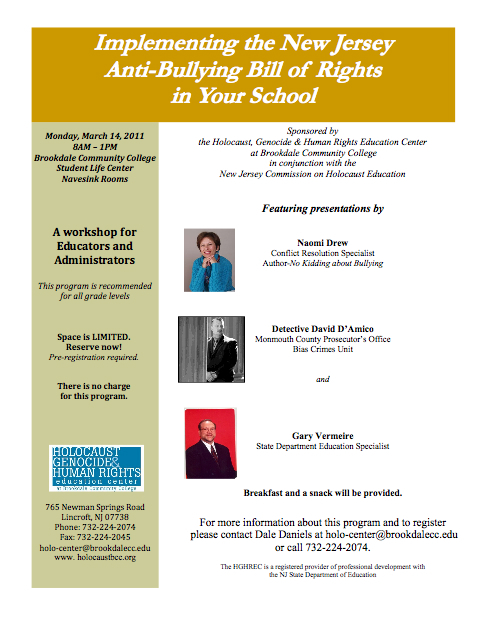 I just lead an anti-bullying workshop for parents at the wonderful Bradford School in Montclair, NJ. This is a school completely dedicated to peacemaking, and it shows. From the thousand paper cranes hanging in the halls, to the Peacemaker of the Week bulletin board proudly displayed with pictures of all the kid who have earned this honor, the kids at Bradford are learning that kindness is cool, and compassion is the way to go. More on what's happening at Bradford in future posts. What are you doing in your school to promote peacemaking and anti-bullying? 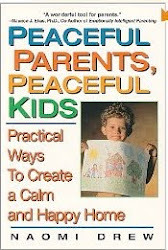 E-mail me at Naomi@LearningPeace.com and let me know. 1. Name your feelings and help kids name their own. Kids who lack empathy are often completely out of touch with how other people feel, and how they themselves feel too. They might be able to identify basic emotions like happy and angry, but, beyond that, they may be completely clueless. They need your help to tune in. Naming and identifying feelings is one of the first steps in developing empathy. 2. Model respect and compassion even when you're angry. Kids who bully tend to be hot-headed and easily frustrated. Help them learn to manage anger and frustration through your own example. One respectful, compassionate way to express angry feelings is to say something like this: "I know you're feeling frustrated right no, but what you said made me mad. I'm taking a few minutes to cool off. Then we can talk about it. 3. Call kids on mean words and actions of any kind. Whether directed at a sibling or peer, don't ignore cruel behavior. Say something like, "That was really unkind," or "I felt so upset seeing you treat your brother in such a mean way." Then have them think of ways to make amends to the person they've hurt. 4. Seek out books, videos, and TV shows with characters who exhibit compassion and respect. Look for real life models too. Name the positive qualities you see and discuss them together. Kids need exposure to more and more examples of people who are decent, kind, compassionate, and respectful. 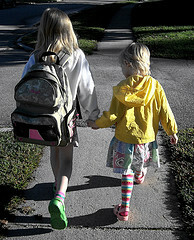 Since they learn primarily through imitation, we need to help them have good examples to imitate and emulate. Is Your Child Bullying Someone? So many of us are concerned about kids who are bullied -- and we should be. But what about the kid who's doing the bullying? There's cause for concern here too. Did you know that kids who bully are at greater risk for getting in trouble with the law later in life? They're also at risk for school failure, troubled relationships and substance abuse. What can you do if you suspect your child might be bullying? According to StopBullyingNow, "Requests to aplogize, self-esteem building, asking why, pleading, and expressions of frustration are unlikely to help and may make things worse. Here's what they recommend you do instead . . .
- What did you do"
- Why was that a bad thing to do? - Who did you hurt? - What were you trying to accomplish? - Next time you have that goal, how can you meet it without hurting anybody? Additionally, it's important to help kids who bully gain empathy, conscience, and a sense of responsibility for their actions. If your child is bullying someone, let him know how it makes you feel, and then talk together about how he can make amends. Ask, "What can you do to make up for the pain you've caused?" Then, hold your child accountable and make sure he follows through. By doing so you'll be helping him and the child he's been hurting. What Do You Think? 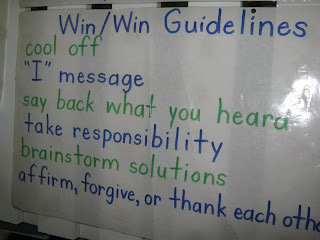 Since it's so hard to leave comments on this blog site, drop me a line at Naomi@LearningPeace.com. I look forward to hearing from you! If you're looking for hands-on strategies on preventing bullying and conflict in your classroom, you can sign up for a live webinar I'll be doing on March 24th. Here's the information. Hope you can join us! 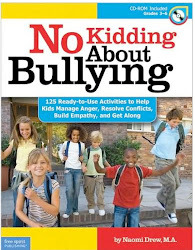 Our fourth graders have been doing activities from No Kidding About Bullying. These activities are designed to help students manage anger, resolve, conflicts, build empathy, and learn to get along. One of the activities is about creating memory banks. The lesson talks about how our actions today may affect how people remember us in the future. I talked about how when we treat someone poorly we create a bad memory for them. The students wrote down mean things that had been said to them. Next, I read the comments. 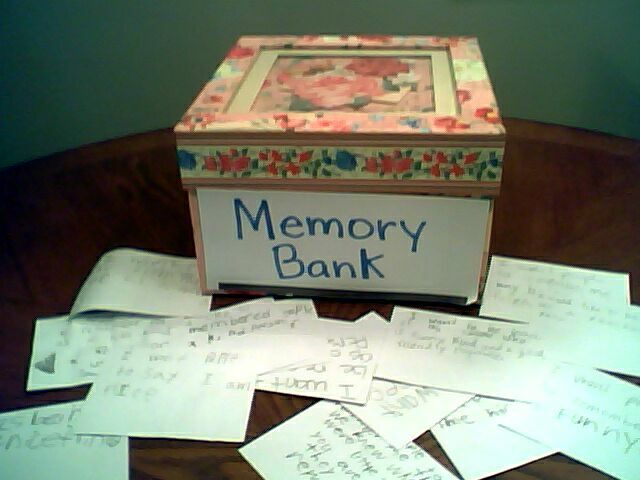 Then the students put the mean comments into a box called a "Memory Bank." While the students answered questions I shook the box loud in front of them. They said it was too hard to concentrate with all the noise in their ears. I told them that people who are treated poorly may have that going on in their heads all the time. It's really hard to think when you have bad thoughts of things people have said to you floating around in your head. We then threw away the bad thoughts and filled the box with positive ones. I explained that it would be nice if our brains could do that, but they can't, and what we say ad do today can affect the way feel about us and themselves in the future. As a class we are working hared to create a positive memory bank for the people in our lives. A parent recently told me that one of my students referenced creating a positive memory bank for someone at basketball practice. We've also made posters to hang around our school with the new definition of cool from No Kidding About Bullying, how to be an upstander, and using kind words. I've been sending home a letter a week so parents can know what we've been working on in class. I'm hoping they will reinforce this at home. I've had several parents thank me for working on these skills with the class. It's really nice to have something to refer to when there are problems in the classroom and on the playground. Using the word "upstander" and reminding my students of the memory bank seems to help. I'm excited to try the rest of the lessons. Thank you, Melissa, for sharing this. We look forward to hearing more from you!